The Noblesville Police Department posted a photo on Facebook of the wild bovine they had to catch on Saturday. One Indiana cow is a firm believer of Chick-fil-A's motto "eat mor chikin." 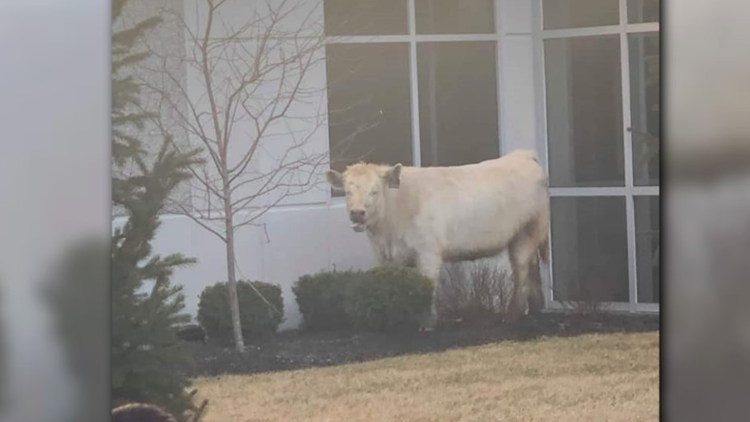 So much so that the "wild bovine" managed to evade the Noblesville Police Department over the weekend by running across three lanes of busy traffic in Noblesville, Indiana and ended up outside of a Chick-fil-A restaurant. Athena Hopkins shared the unbelievable moment caught on video on Facebook. On Monday, it's garnered nearly 870,000 views and more than 11,700 shares. You can hear a person in the video say: "Hey, is it like a promo for Chick-fil-A? He's running to Chick-fil-A!" Police say the cow escaped from a trailer earlier that day. They did manage to catch the cow and return it to its owner.